Hi Nicolas ! It was a great pleasure and honour to participate in the golf tournament, which was very well organised by you and your team . Hats off to all . The courses we played on were excellent,accommodation super,and the cream of all'BUENOS AIRES'. What a nice city and friendly people.Hope to see you all next year GOD willing . .
Hi Nicolas, The whole trip was good, from the flight, the transfers, the cocktail, the dinner/prize giving, the football... all very exciting. The golf courses we played were fantastic, apart from the mosquitoes, really world standard. The whole tour was very well organized, just as the after trip to Rio, Mendoza etc. I hope next year to be able to arrange another trip, as we really enjoy this destination..
Dear Nicolas, Safely back in Poland, I want to share what my group and I personally experienced during Argentina Invitational 2010. The clients were extremely satisfied with all the points of the event: accommodation, golf courses, prizes and the very professional organization. They asked me to thank you and your staff for the efforts they put to prepare the event, and confirming my words, some of them will repeat this experience in 2011. I hope to bring a bigger group from Poland for 2011 edition, I am sure they will be in good hands during this fantastic golf tournament week. Once again, thanks for everything to all you guys….. See you at Argentina Invitational 2011. Michael Dabrowski, Golf Travel Poland (Dir). On behalf of our staff, we would like to thank everybody! We all had a great week! 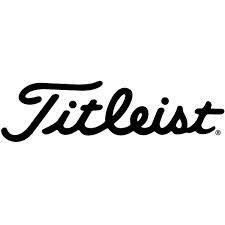 As you have seen, March is perfect in Buenos Aires, excellent weather, golf courses are in the best shape, local people are back from vacation and social life is running 100%. As organizers, it was fantastic to see how after the second round, the golfers became really very competitive, and were definitely defending the colors of their countries… Pictures of groups with their flags can testify… Argentina Invitational is the best opportunity to visit Buenos Aires, most of all if it’s for the first time, offering UNBEATABLE VALUE with a lot of extras for the golfers + a lot of fun + an international competitive ambience! We have already started working for 2011 edition…. See you soon! Nicolas. Dear Nicolas, I had just some feedback from clients who participated on the Argentina Invitational, plus 2 weeks extension trips to Patagonia, Iguazu and Rio organised by your company. Based ont he feedback all was excellent, and very well organised. They had great time, so I would like to specially thank you and your staff for your efforts. Kind regards, Krisztina . Dear Nicolas, Thank you for the wonderful days in Argentina! I was surprised from the city Buenos Aires - the different districts of the city, the life in the streets, Tango-Shows, the big green parks and buildings. The organisation was perfect - transfers to the clubs and back to the hotels, tee-times with shotgun-starts, welcome-cocktail and prizegiving. The team around you was excellent, friedly and I felt very well. Argentina is such a beautiful country, which I want to visit again (especially Patagonia). I'll recommend Argentinainvitational to all my golffrieds - it was a great experience to play the tournaments with golfers from the whole world!" Liebe Grüsse, Peter. Estimado Nicolas: Queria agradecerte una vez y felicitarte por la organizaciòn del torneo que ha sido fantastica! La gente de Colombia quedo muy contenta y varios ya quieren inscribirse para la ediciòn 2011. Asique estaremos ahi nuevamente! Saludos Fernando. Hi Nicolas, I have been home now for 3 weeks and leave shortly for Honolulu and the first WAGA event for 2010. I would like to say that in 2007, WAGA had a good tour of Argentina thanks to you and your staff. This year, the Argentina Invational was for us, a great success and I am sure that in 2011, WAGA will be able to increase the numbers. I would like to say on behalf of WAGA that we enjoyed the golf courses, the hotels, the great food and the ambience. I would have expected nothing less than you and your staff provided. The professionalism, the greetings, the management, all were what I would have expected and if you look at the feedback in WAGA website, you will see that attendees agree with me. So please let me say once again, WAGA and the group had a great time, an experience that I enjoyed and look forward to enjoying in 2011. thank you Brian Lassen WAGA. Hi Nicolas I had a wonderful time in Buenos Aires. It was a trip to remember. 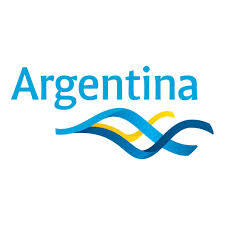 I would like to personally thank you and your staff for always being so helpful and you well and truly exceeded my expectations of the Argentina Invitational Golfing event. The golf courses were great and another highlight for me was the wonderful people I was fortunate enough to meet. THanks again!! Jeff. Hi Guys! Just back from BA; I really enjoyed the trip. Everything was perfect, great people, good organisation, good food , great golf.... Even the weather was with us.....you will see me at future events for sure.. thanks to you all!Take care...Regards Véronique . Dear Nicolas and Dear Adam, We arrived well again in cold Vienna... Apart from the event hosted in Buenos Aires, everything was perfect in Iguazú with the Loi Suites hotel and our Guide there! My clients are really happy with everything, and also with the T-shirts, so I hope they will come back to Argentina soon with many of their friends! Thank you again for the perfect organisation! see you-;) Maria. Dear Nicolas, Buenos Aires is great and worth visiting. We really enjoyed both staying in this marvellous city and taking part in the Argentina Invitational on the wonderful golf courses. Meeting nice people from so many different nations was a great experience for us. Last but not least we want to thank you and your team for the perfect organization . W'll certainly come back to see more of your wonderful country. Renate und Wolfgang Wittig, Austria.